Nationalistic, soccer-related Stimmung in Berlin is serious right now. The World Cup here 4 years ago was seen as the breaking of a certain flag-taboo: whereas before it was questionable and mildly-shocking to wave a German flag at any time, during the World Cup everyone and their mother gladly smeared the black-red-yellow on their cheeks and hung huge flags from their balconies. It was undoubtedly a case of athletic sublimation of nationalistic/militaristic sentiment. 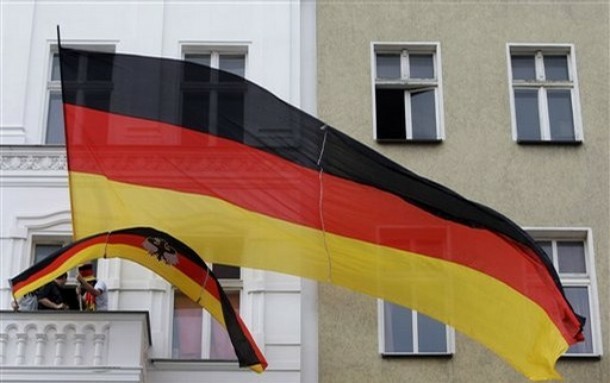 The German flag now symbolizes die Mannschaft more than it does the country. In my neighborhood of Neukölln, a largely immigrant community, flags are a-flying more so than in most other areas. My friend told me that, when Turkey, Syria, and Lebanon are not taking part in a football competition, the Arabic immigrants support the German national team more than many Teutonic Germans. My friend and I overheard a funny story last night while waiting for our halloumi sandwiches at a Lebanese sandwich shop. The Arabic proprietors of the building next door were lowering a gigantic German flag from the roof, which stretched 4 stories down to just above street level. The man who seemed to be the owner of the flag said that someone tore the flag down a few days ago. He didn’t know who or why. My friend assumed it was some anti-fascist, left-wing Germans (many of whom also live in Neukölln), to whom the sight of a monstrously large German flag would be poisonous. The man said that now he has arranged security, who would guard the flag throughout the night. Such patriotic sentiment would be rare to find in most citizens of German-descent. Over and above the socio-political benefits, there are also those of a footballing nature. “Up front, we exude a bit of Latin or southern ease but defensively, we are incredibly disciplined, very German,” said Khedira. Ozil noted that “my technique and feeling for the ball is the Turkish side to my game and the always-give-your-all attitude is the German part” while Aogo said that “the mixture of African physical strength and European tactical awareness can be very good for the DFB”. That last part is a bit funny. It seems that if nationalism, in a nu-politically-correct world, is given new life through football, then the same happens with cheap cultural stereotypes? If you want some CAN ’10 retrospective ruminations that don’t come from the BOLAS & BANDEIRAS inkwell, check out these two pieces by the Guardian‘s tactical boffin Jonathan Wilson: a look at which teams have gelled and which haven’t (with an eye towards Egypt) as well as an Angola-Algeria preview (employing a [justified?] Westerner-amidst-African-bureaucratic-chaos narrative frame). OH LOOK! The squads have been announced already…what an excellent time to review some injury news! So big news is defensive destroyer Stelvio is suspended for this game and 3-goal striker Flávio misses out with a knee injury (he’s on the bench however)—Flávio is replaced by Ze Kalanga. Angola’s other midfield powerhouse, Gilberto, is in the lineup despite being an injury worry. Mali-Malawi is also kicking off at 11am EST, but that’s on the back burner for this intrepid journalist. Suffice to say I will keep you updated—Mali need to win and Algeria need to lose for the underperforming Eagles to qualify for the knockout stage. EDITORIAL BIAS-WATCH: There’s no match commentary here on my stream, so I am soaking up the atmosphere—’tis THRUMPING at the Estadio 11 de Novembro in Luanda. Hopefully I haven’t picked the wrong game to watch: it’s Mali 2-0 Malawi 3 minutes into that game!!! 0-0 at HALFTIME! It was an alternately sleepy and scrappy affair out there, with both teams understandably cagey what with their qualification hopes being on the line. The only thrilling football to speak of: a crucial close-range save by Carlos Fernandes at 22′ and Angola gradually gaining self-confidence and engaging in build-up play which could someday yield a goal! Djalma had a tasty chance (but shot directly at the keeper when he should have scored) at ~43′ after a silky offense sequence sparked off by right wing-back Jamuana’s (i thiiiink Angola are playing a 3-5-2 formation?) flick-down of a long threaded pass. Aesthetic observation: I would love to sip a ginjinha with Maneul Jose…he seems like a highly entertaining and opinionated Old Cantankerous Portuguese Man! 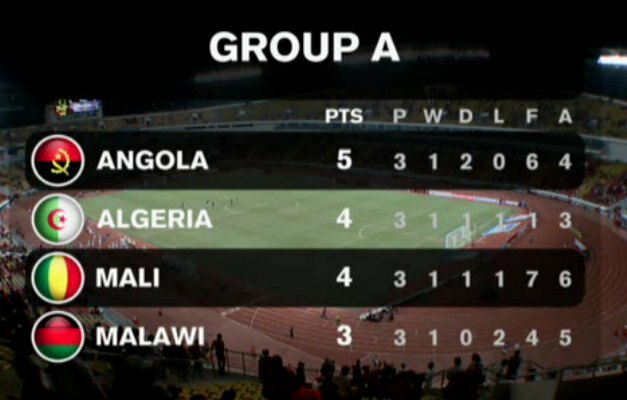 In other Group A news, Mali still lead 2-0 over Malawi. 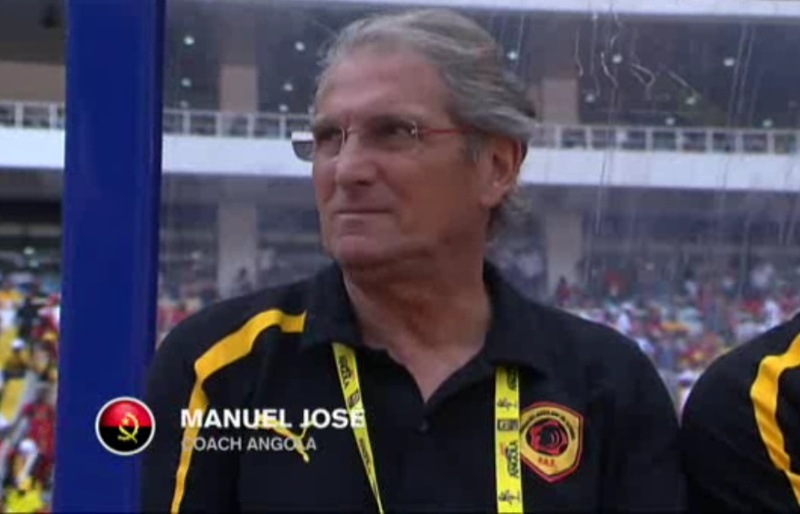 Hmmm, a draw will see both Angola & Algeria qualify, gotta wonder what Rabah Saadane & Manuel Jose make of that? OOOOOK, cya y’all at the final whistle peep. FULL TIME ANGOLA 0-0 ALGERIA! Well, I’d like that 45 of my life back, as both teams dawdled about and played for a draw. 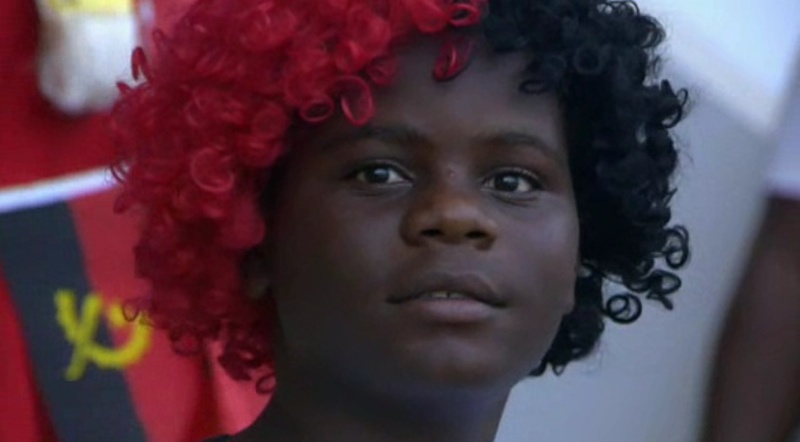 An utterly uninspiring 2nd half, as both Angola & Algeria qualify for the quarterfinals, with Angola winning Group A. Though its MALI 3-1 MALAWI, Les maliennes are OUT!—Kanoute, Keita, et al. exit CAN ’10. Like Algeria they had 4 points in the group, but with head-to-head goal difference the first tie-breaker, Algeria goes through owing to their 1-0 over Mali. As some angry comments on the internet have already stated, Algeria qualify having scored just 1 goal while Mali scored 7. The Malians are no doubt the sexier squad, but this editor is obligated to review some match footage of these combatants before arguing the ethics of qualification via aesthetic criteria! Quarterfinals? Angola will play either Burkina Faso or Ghana (perhaps even Ivory Coast if Burkino Faso score a healthy win against Ghana tomorrow). Algeria will also…play one of those teams! “Thanks for reading”/enjoy the holiday, where applicable! WC ’10 Group C — Ghana–Germany! Who are these North Korean fans?